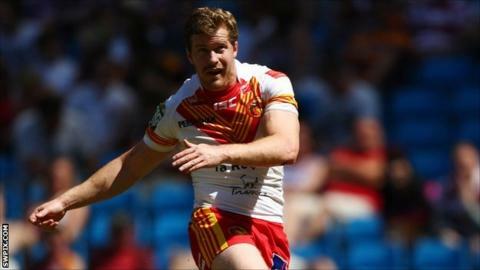 Scott Dureau has announced that this will be the last of his five seasons with Catalans Dragons, confirming that he will not be signing a new contract. The popular 28-year-old half-back will return to his native Australia at the end of the current Super League season. Dureau has played 76 Super League games, scoring 27 tries and amassing over 500 points with the boot, since joining from Newcastle Knights in 2010. He was named in Super League's Dream Team in both 2011 and 2012. But he then suffered two seasons of ill luck, missing a large part of 2013 after a tumour was removed from behind his eye, before a bicep tear stalled his progress in 2014. He ended last year in Australia on loan with Sydney Roosters, under former Catalans coach Trent Robinson. But he returned to Perpignan to become a regular again this season as Catalans bid to qualify for the Super Eights. "It's been a great five years with the Dragons," said Dureau. "It has been a great experience in France, something I will never forget, but the time is right to go back to Australia and to the NRL." Club chairman Bernard Guasch added: "The best Dragons games have been played with Scott on the field. He will remain among the great players who have made their mark in the club's history."